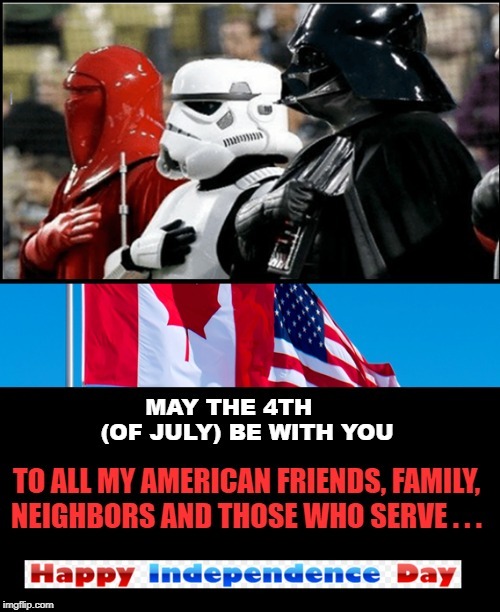 MAY THE 4TH (OF JULY) BE WITH YOU; TO ALL MY AMERICAN FRIENDS, FAMILY, NEIGHBORS AND THOSE WHO SERVE . . .